News Update. 7 February 2018. Neil Gostelow and Mark Orton from KPMG have been appointed joint administrators to Oyster Marine Holdings Limited, the holding company for the Oyster Yacht group of luxury yacht builders. Having failed to secure sufficient funding to be able to continue trading, Oyster Yachts is currently carefully considering a number of options. No other companies within the group will form part of this administration. Oyster Marine Holdings will retain the intellectual property to all the technical drawings and moulds used in the production of the yacht in the Oyster range. 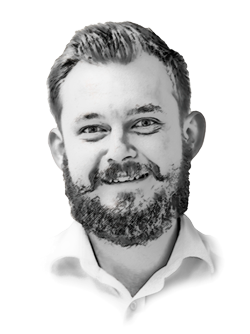 "Late last week, the company directors confirmed that they had been unable to secure the financial support they needed to continue to trade the business," comments Neil Gostelow, partner at KPMG and joint administrator. "Our immediate priority will be to seek a buyer for the business and its assets and would encourage any interested parties to contact us as soon as possible." Oyster Yachts, the renowned British sailing yacht manufacturer, has, according to a number of sources, entered into liquidation after announcing a record £80million-plus order book on 10 January 2018. Reportedly, the Southampton-based superyacht builder has informed all staff, some 160 individuals, that they will be losing their jobs. SuperyachtNews speaks exclusively with David Tydeman, CEO of Oyster Yachts. It has been suggested that HTP Investments, the Dutch financial vehicle that purchased Oyster Yachts in 2012 for around £15million, has withdrawn its financial support from the enterprise, this follows a period of investment that saw Oyster Yachts expand the facilities at its Southampton Shipyard in 2017 and continue to invest in new designs and models, including the new Oyster 745 that was launched at Boot Dusseldorf in January. Tydeman was unable to comment on company’s current position. “It is with sincere regret that we advise that the company [Oyster Yachts] has been unable to secure financial support to enable it to continue to trade at this time and it is looking at all opportunities available. Further information will be issued as soon as we can,” reads a statement from Tydeman on the company’s website. 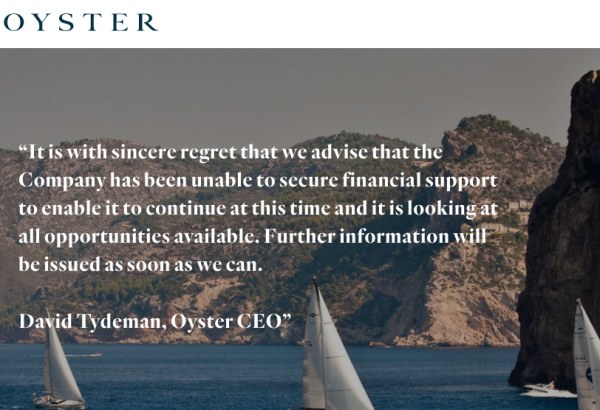 The admission that financial support has led to the closure of operations at Oyster lends credence to the suggestion that the closure comes as a result of HTP Investments removing its funding. As well as a series of sub-30m projects, the size range for which Oyster Yachts was best known, the British stalwart also has two 37.45m Oyster 118 projects currently in build, due for delivery in 2018 and 2020. Work on both superyachts and all other vessels has been suspended. Oyster Yachts becomes one of many superyacht shipyards to cease operation over the last 10 years, indeed in 2008 there was 268 vessels delivered across 118 shipyards, by comparison there was only 124 vessels delivered in 2017 across 51 shipyards. “We are going to conclude the next steps day by day and we are chasing every option available to use. We’ve had to stop boat building at the moment, close the doors and we are just trying to protect the building, the assets and everything else. Our priority right now is our staff and boat owners,” concludes Tydeman. Oyster Yachts is yet to release a full statement, but SuperyachtNews will provide an update on the situation as more details continue to be released. A full statement is due in the coming days. In The Superyacht Annual Report: New Build 2018 we analyse the dramatic reduction in active shipyards and explore the idea that the market has entered a period of consolidation. If you’ve found this story to be ‘a report worth reading’, and you would like to enjoy access to even more articles, insight and information from The Superyacht Group, then you may well be interested in our VIP print subscription offer. We are inviting industry VIPs to register for a complimentary subscription to our print portfolio, which includes the most insightful information on the state of the superyacht market. To see if you qualify for our VIP subscription package, please click here to fill in an application form.